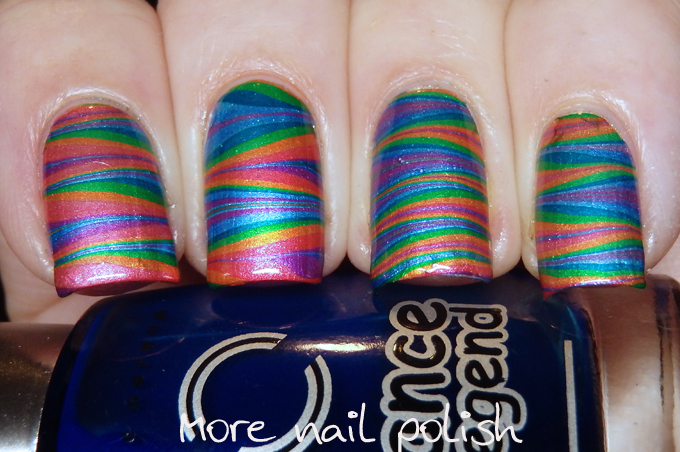 Rainbow week continues with a watermarble today. I totally feel like the boss of watermarbles these days, as just about every marble I've tried has worked beautifully. I now can look back on my early water marble attempts and actually see what I was doing wrong. It's a nice place to be. 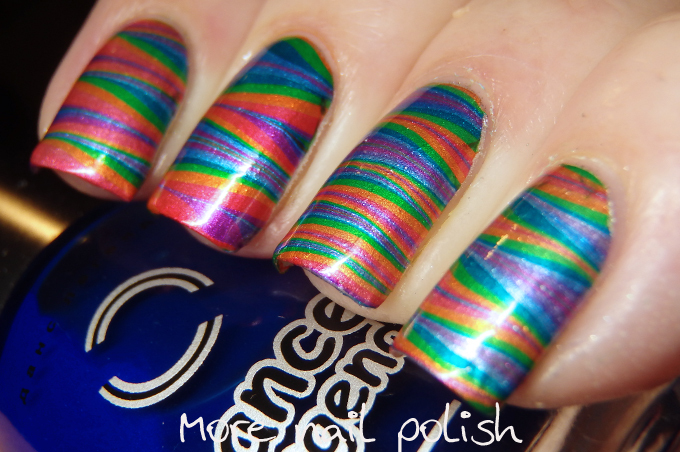 This is the second mani for rainbow week that uses the Dance Legend Glass Enamel polishes. 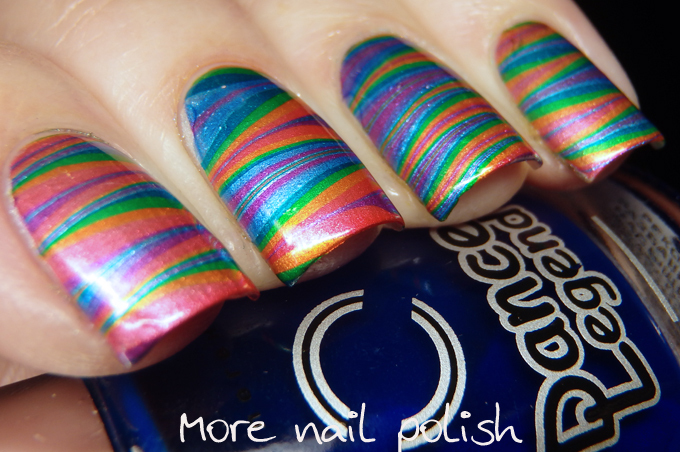 I've used them before in a watermarble so I knew they worked really well. 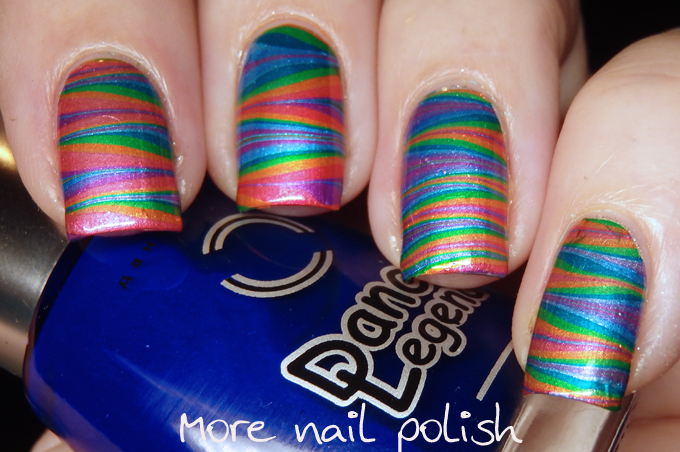 They are very similar to the OPI Colour Paints in terms of opacity and intensity. The base was Pretty Serious Frosty the Snowborg, and it does have a bit of a streaky line to it, which you can see in this watermarble. In fact it makes my nails look a bit ridged. Oh well, I probably should have chosen a sparklier silver base but I had my Pretty Serious Helmer drawer in front of me and it was the easiest choice.